A recent scientific study confirms that having lights on when going to bed impacts the biological processes inside the brain and causes disorders that lead to obesity. Consequently, scientists recommend turning lights off at night to protect the body and brain. Glory to Allah; this advice, recommended by scientists in the 21st century, was long stated by Prophet Mohammad, may the peace and blessings of Allah be upon him, 14 centuries ago. A sound chain of transmission reported: Prophet Mohammad, PBUH, said: "when you go to bed, put the lamps off." The question is: isn’t this hadith sufficient evidence that Prophet Mohammad, PBUH, speaks nothing but the truth? 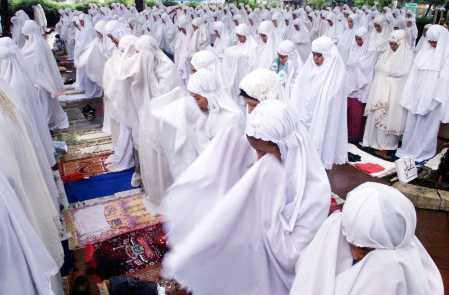 Prophet Mohammad, PBUH, said: “purity is half of faith,” reported by Imam Muslim. Scientists also assert that cleanliness help prevent almost most diseases. When the body remains clean and pure, it gets rid of most of the germs and dust that get stuck with. Such purity prevents several diseases such as skin and mouth diseases. Moreover, constant cleanliness of the face and the hands entails the decrease of the number of germs that attack the body through the mouth and nose. Hence, the diseases of the respiratory and digestive system are also reduced. One of the Prophetic purification methods is the prohibition of urinating in water. It has been proven that human urine contains a number of germs and bacteria that are transmitted form one person to another through water. Urinating in water, particularly stagnant water, causes the spread of many epidemics such as cholera, typhoid, and polio just as it’s the case in public swimming pools. Therefore, Prophet Mohammad, PBUH, forbade it so as to guarantee us, in Allah’s will, a happy, disease free life. One of the Prophetic purification methods is washing hands as soon as waking up in order to remove the germs and remnants of sweat that get stuck to them while sleeping. Today, scientists emphasize the significance of washing hands in order to prevent diseases. Such emphasis clarifies the importance of the following hadith: “when you get up from bed, don’t put your hand in a bowel (of food or drink) before washing it three times,” reported by al-Bukhari and Muslim. One might wonder: who could have revealed the significance of washing hands to Prophet Mohammad? One of the purification methods is performing Istinja (cleaning the private parts) after the call of nature as well as cleaning the place of urinating well. A great medical benefit of following such a good habit has been proven for the good removal of impurities (Najasaat) prevents several diseases of the reproductive system. This was confirmed by Prophet Mohammad, PBUH, when he instructed us to perform Istinja and purify ourselves. Within the Islamic context, believers must have a bath at least once a week, every Friday, so as to clean the skin surface from dirt, bacteria, germs, fungi, and the remnants of sweat thus preventing skin diseases, enhancing its breathing, and maintaining its pores. Once again, one wonders who could have informed Prophet Mohammad, PBUH, about the significance of cleanliness for the prevention of diseases. (Istinja means the removal of dirt that is left on the body after the call of nature: such as urine or faeces). Scientists affirm that aging is the best way to end human life naturally; otherwise, any attempt to prolong human life above certain limits would have serious impacts, the least of which is cancer. Besides, they say: “any attempt to become immortal goes against nature.” They have concluded that despite spending billions to treat aging and prolong human life, experiments prove useless. Such a conclusion is exactly what the great Prophet pointed out when he said: “Oh servants of Allah, seek remedy for Allah has not sent down an illness without sending down a cure for it except for one illness, aging,” reported by Imam Ahmad. Scientists say that the perfect method for eradicating a contagious epidemic is to quarantine infected patients or even suspected ones until the epidemic is cured. Fourteen centuries ago, such a medical fact was unknown. However, Prophet Mohammad, PBUH, revealed it when he said: “when you hear that the plague is in a land, don’t enter it. When it arrives in a land where you are, don’t leave it,” reported by al-Bukhari and Muslim. Isn't this hadith sufficient proof that Prophet Mohammad is the messenger of Allah? 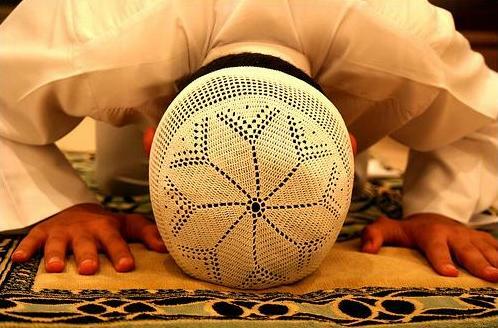 Researchers have found out that Sujud has numerous benefits since it activates blood movement in the blood vessels and guarantees pumping blood to the brain. This has a positive psychological impact on people for they feel closer to Allah, the Great Creator. Hence, people's distresses and agonies vanish because Allah the Almighty is greater than this world and whatever is in it. That’s why when one of the companions asked Prophet Mohammad, PBUH, for his (eternal) companionship in paradise, Prophet Mohammad, PBUH, told him: “then help me with plenty of prostration,” reported by Imam Muslim. 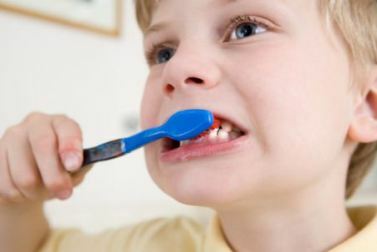 Scientists have discovered that regular teeth brushing strengthens the memory i.e. removing bacteria from the mouth strengthens the immune system. This confirms what Prophet Mohammad, PBUH, said: "If I had not found it hard for my followers or the people, I would have ordered them to clean their teeth with Siwak (toothbrush) for every prayer," reported by al-Bukhari and Muslim.